Canan Dagdeviren joined the MIT Media Lab faculty in January this year to establish and direct a new research group, called Conformable Decoders. Here’s how she went about that process. To me, establishing a research team is equivalent to starting a new family. The main priority is creating organic and transparent relationships among its members. Picture the process as an example of the epitaxy phenomenon in thin film technology: Epitaxy refers to the deposition of a crystalline overlayer on a crystalline substrate. The overlayer is called an epitaxial film. The term epitaxy comes from the Greek roots epi (ἐπί), meaning "above" and taxis (τάξις), meaning "an ordered manner." It can be translated as "arranging upon." Instead of forming a homoepitaxy (i.e., a kind of epitaxy performed with only one material, in which a crystalline film is grown on a substrate or film of the same material), we form heteroepitaxy that is the main substance of various functional devices. This kind of epitaxy is performed with materials that are different from each other. Therefore, heteroepitaxy is super challenging and usually accompanied by lattice mismatch, strain, and dislocation defects. At Global Summit 2016, Canan Dagdeviren talks about her research approach and philosophy. That metaphor was in my mind as I embarked on setting up my research group at the Media Lab. I invested a good amount of time to select students who’d form the seed layer of my heteroepitaxial film. This is not an instant process. Indeed, I’d had previous interactions with these students: either we’d met at a conference, or I’d given a talk at their previous institutions, or they’d worked with me as undergraduate researchers in the past. I knew firmly how different they were from each other, how amazing were their young minds. Now, as we establish our new research group, my students and I are driven by a deep belief that we will make history and we are very much excited to be a part of it all. I do not believe in coincidences but I do believe that people can create miracles by making the right decisions in the right places, at the right times, and with the right people. In the summer of 2015, I was at MIT to do my postdoctoral research under the supervision of Professor Bob Langer and I thought it would be a good opportunity to organize a workshop, inviting prominent researchers in materials science and the biomedical fields. That way, I would meet them in person, rather than just reading and citing their papers. So, I co-organized "Energy Efficiency and Harvesting Strategies for Body Sensor Networks" at the IEEE's 12th Annual International Conference on wearable and implantable body sensor networks on June 9 that year. The venue was on the 6th floor of the MIT Media Lab, and it was my first time at the Lab. Little did I know then that it would lead to the next step in my career. 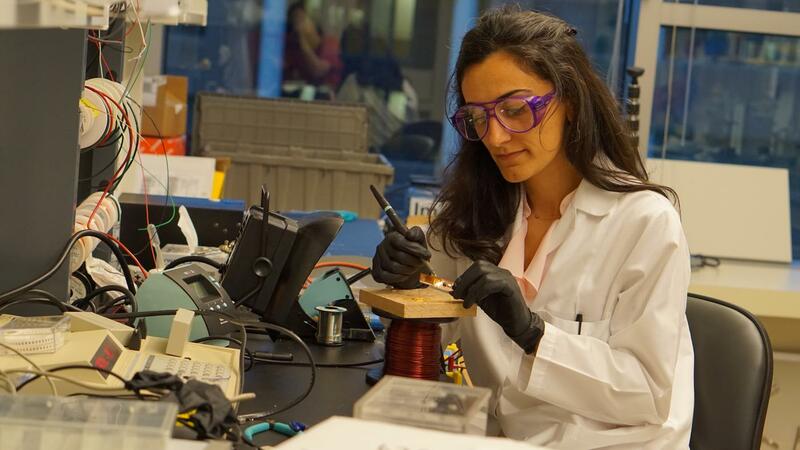 In selecting Canan Dagdeviren as one of the world's top innovators under 35 in 2015, MIT Technology Review described her as a "master of flexible sensors." When I delivered a short talk at the end of that workshop, Joe Paradiso was in the audience. He heads the Media Lab's Responsive Environments group and during the lunch break he praised my presentation and invited me to give another, more comprehensive talk at the Lab in August. As I was giving that second talk, I realized it was a kind of audition for a job at the Media Lab. A month later, I was offered a tenure-track position there as an assistant professor. However, there was a slight complication. That same summer, in July 2015, I’d been named a Junior Fellow in the Society of Fellows of Harvard University. The prestigious fellowship for early career scholars typically lasts three years. So, I had to negotiate with the Society in order to shorten the fellowship period to be able to join the Media Lab. It worked out, and I started at the Lab on January 16 this year. It was an auspicious date: Martin Luther King Jr. Day. His life and work have long inspired me and my mission to convert the patterns of nature and the human body into beneficial signals and energy. Joining the Media Lab is a fantastic opportunity and the experience of a lifetime. It is also a risk. I should confess, though, that I love this combination of chance and risk. For me, the risk was associated with the lack of available space at the Lab to do my research, and the most important point during my offer negotiation was having a "clean room," a pollutant-free environment, which is necessary to perform our experiments. Given that my group's research involves delicate device fabrication and long-term device characterization and tests, we could not use shared clean rooms. Now, after several meetings, Conformable Decoders' clean room is under construction and scheduled to be functional by mid-summer this year. 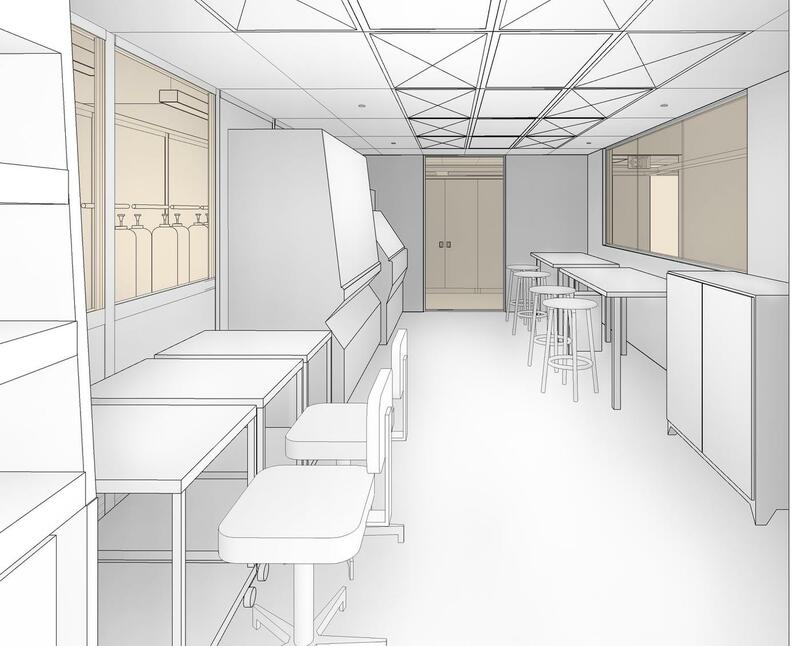 This architectural drawing shows plans for inside Conformable Decoders' clean room. To set up and run a clean room requires dedication and involves risk, but I am certainly ready for such challenges. First, I had to design it. To do so, I summarized all the advantages and disadvantages of clean rooms in which I'd worked over the past 15 years. I shared my findings in meetings with architects and clean room engineers. At the same time, I wrote a job description for a lab manager who would integral to my group. That person will be the strain-control layer in our heteroepitaxy film (that is, our Conformable Decoders group) who'll help team members work in harmony and maintain the clean room to be safe, clean, and organized. I also met with several companies from which we'd purchase our tools, and I attended many of their tool demos. I do not purchase things with blind eyes. Indeed, I run experiments with those tools before I purchase any. Architectural plans for Conformable Decoders' clean room show it enveloped by glass walls. 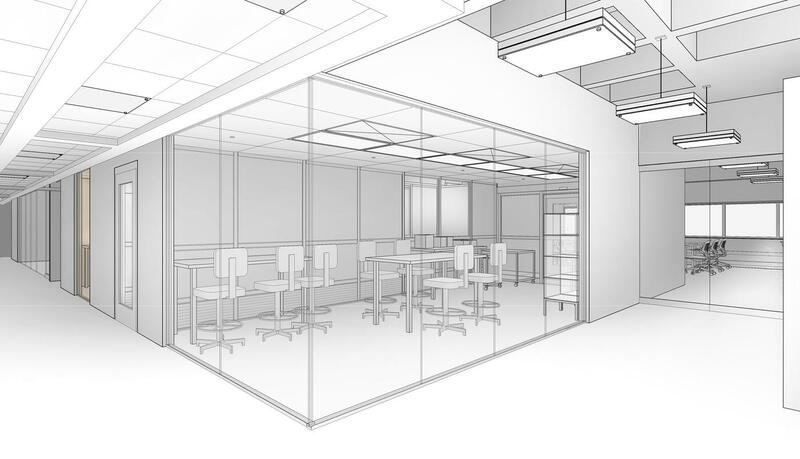 My top priority for Conformable Decoders' clean room is that it's being constructed entirely of glass walls. This is crucial, not only because I want the lab to be physically transparent, but also because I support live demonstrations so that anyone can observe through glass without having to undertake clean room training. As a PhD student who implemented her own dream projects, I want to share that open approach with my students: I believe that, with the necessary space and materials and enough dedicated time, our research dreams can turn into device formats. I envision that our clean room will be open 24/7 and students will be able to carry out their dream projects with various materials selections. My beliefs underscore how I'm currently framing the course that I'm going to teach in the clean room. Moreover, the tools that we purchase will be customizable based on the research needs. In our clean room, we will not do traditional device fabrication. Rather, we will stretch our research environment, tools and minds to dream, design and fabricate our devices. 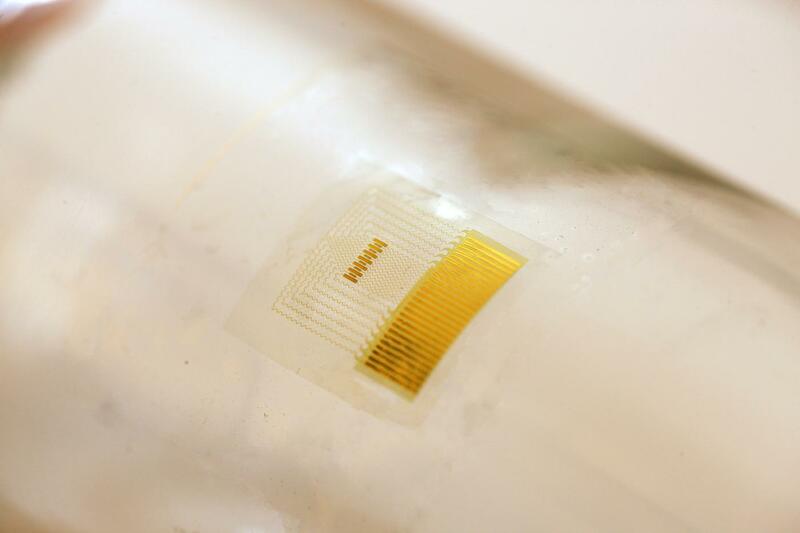 This piezoelectric modulus sensor for skin stiffness measurement is an example of the work being done in Canan Dagdeviren's research group, Conformable Decoders. A scientific heaven of "crazy science"
People often ask me why I accepted the position at the Media Lab. The answer is straightforward: the Media Lab is a scientific heaven to me. I’m surrounded by amazing fellow faculty, students with stretchy minds, beloved staff members, bold ideas, a fast-paced and embracing atmosphere, and financial support from member companies and the Lab. The Media Lab was established in 1985, the year I was born, and I feel we've shared a common theme over the ensuing decades: that life is too short to follow someone else's ideas—take a risk, and go for your own idea. Plus, it's clear to me that the Media Lab is the only place where my students and I can do our "crazy science." Most scientists are inspired by nature. However, our device-driven research is directly inspired by the diseases of our family members and dear friends, and indirectly by humanity at large. As the Spanish guitarist and composer Paco de Lucía once said, "The hands find a way to do what the heart wants to say." Indeed, while our research has a personal touch, so too does the name of our group: Conformable Decoders. "Conformable" refers to the mechanically-adaptable feature of our devices. "Decoders" define our devices, which are the interpreters for a language without words—heartbeats, respiration, muscle movements, neural activity, tidal waves, airflow, ambient humidity, temperature change, and so on. They're all saying something important, speaking the unique language of nature and the body. It's a lexicon that's completely different from everyday English, but it's one we believe we need to translate in earnest. As I've mentioned, my first priorities in establishing this new research group at the Media Lab are in selecting the epitaxial layers of my team—the students; creating the right space for our research—the clean room; and establishing flexible relationships among my team members. This all adds up to the metaphor I described earlier—engineering the mismatch, strain, and dislocation defects in epitaxy film. I need, and like, to resonate with my students. My approach is drawn from an example in physics: resonance. It's a phenomenon in which an external force drives another system to oscillate with greater amplitude at specific frequencies. Frequencies at which the response amplitude is a relative maximum are known as the system's resonant frequencies. At resonant frequencies, small periodic driving forces have the ability to produce large amplitude oscillations, due to the storage of vibrational energy. I provide my students an external force to oscillate themselves. In my group, that means providing a flexible research atmosphere, logical challenges, and previously tested and approved devices. And, oscillation means offering a stage for my students to express themselves, design their devices, and imbue their particular research with a personal touch. To me, this is the most enjoyable and effective way to find the resonant frequencies of my students. If we have more individuals who can tune the resonant frequency of society, then we can produce large amplitude oscillations, which can ultimately benefit humanity. 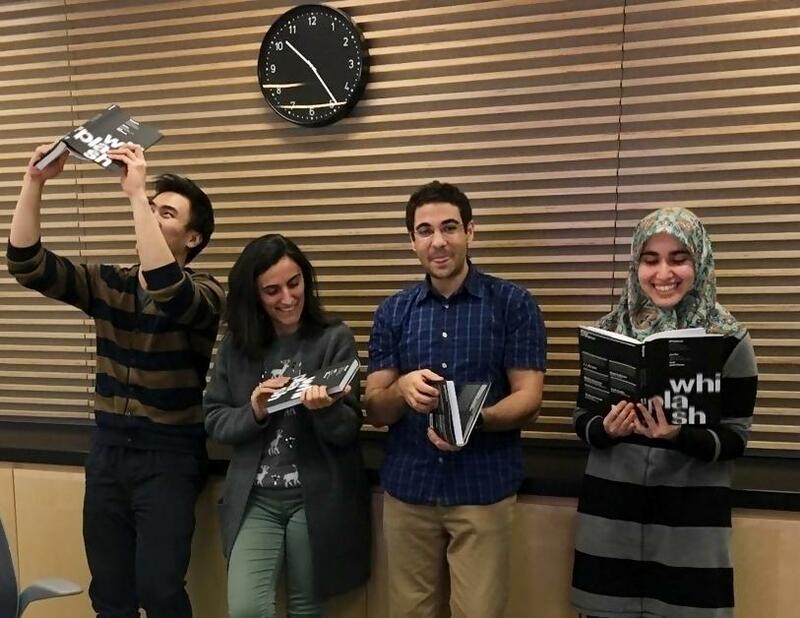 Canan Dagsdeviren (middle) with members of the Conformable Decoders research group: (l-r) Mohamed Tarek Ghoneim, Atieh Sadre, Amanda Masson, and Zijun Wei. In my research group, we are all from different countries, each with its own specific culture. We embrace our differences; we share our achievements and motivations. We've already created a number of ways to grow our group together: Every Monday, we meet to report on our research progress, and on the first Monday of every month, we connect via Skype with parents, siblings, or friends—people who inspire or support team members' research. The first such call was to Istanbul so my students could meet my parents. A "letter for the future"
My long-term plan is to shape the minds of young people who will drive the future. They must be logically brave and firmly fair; they must speak kindly, think deeply, live simply, and generously love their science; and they should seek to design economically feasible and socially desirable futures for all. My short-term goal is to have a vigorously beating heart to pursue our dream projects every single day. Our group, Conformable Decoders, combines media, arts, and sciences, so it seamlessly fits into the Media Lab's overall context. Our devices are not only electrically and mechanically functional, but they are also good-looking. So, we plan to mount photo exhibitions of our device inventions to express our dreams through the lens of art. Canan Dagdeviren with (l-r) Zijun Wei, Mohamed Tarek Ghoneim, and Atieh Sadrae, who are students in the Media Lab's Conformable Decoders group. This blog post is somehow a letter for the future. I’m looking forward to reading it again in 20 to 25 years. To me, the future is implantable devices; especially implantables for human-computer interfaces. I proudly say that our devices are invasive, as they have to be to be able to explore and affect human organs. As astronauts control rockets and shuttles to explore space, we explore the brain and other internal organs via our devices. Hence, we are the astronauts of nature and the human body. We are well aware that the electric light bulb was not invented by a candle maker. That drives us to take risks and aim high. Personally, I aim to saturate my limited life span with memories rather than unfulfilled dreams. For the research that we are doing already, and the research we’ll do in near and far futures, we expect to gain insights into our world, and to enhance interactions with Nature and each other. We want to decode the magic of the world. 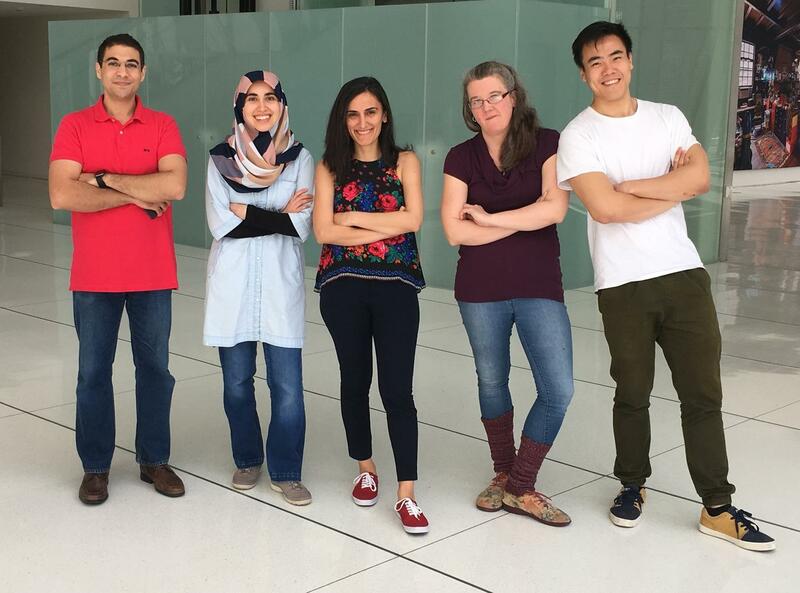 Canan Dagdeviren heads the Conformable Decoders research group at the MIT Media Lab.